Why we pay taxes in order to prevent inflation, to feel like we are contributing to the democratic process, to provide a sense of fairness and for political aims. How the 2017 U.S. tax reform act could impact home prices, charities and higher-tax states. How large is the tax cut and who it will benefit. What will the impact of the tax cut be on the economy and deficit. What is the Pay As You Go Act. 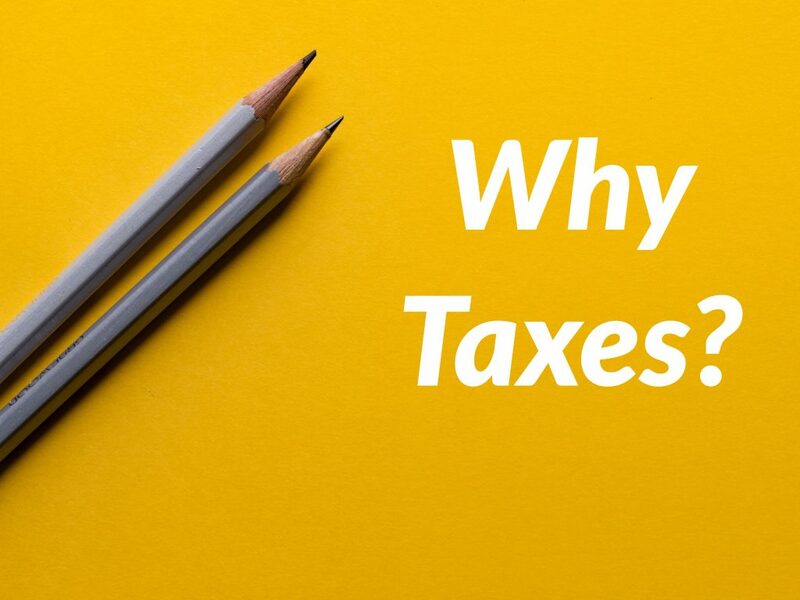 Episode Summary – Why Do We Pay Taxes? They say the only things certain in life are death and taxes. While that’s probably true it’s also likely that many people who have resigned themselves to paying taxes don’t truly understand why taxes are necessary. In this episode, David covers the issue extensively in light of the new Tax Cuts and Jobs Act the U.S. Congress has passed. If you take the time to listen you’ll not only understand the recent tax legislation better, you’ll also understand why you have to pay taxes in the first place, and what it does for the nation. Consider it a 30-minute lesson in economics and government spending that actually applies to your life. One of David’s friends lives in Denmark. In a recent conversation, this friend mentioned that it took him less than 10 minutes to prepare and file his taxes. Really? It’s true. But there are other things about the tax system in Denmark that might not be so attractive, like a 36% to 52% tax rate. When David started looking over his tax liability in light of the recently passed Tax Cuts and Job Act, the contrast between the two systems was obvious. After 45 minutes David couldn’t understand the implications of the legislation so he asked his tax accountant whether he’d get a tax cut or not. The answer? Maybe. It’s complicated. In this episode, David explains some of the basic principles behind how our economy and national budget work, including why taxes are necessary at all. When a government spends more than it takes in, it runs a deficit and then issues debt in order to balance its accounting books. If the federal government spends and spends and spends, the capacity of the private sector to produce goods and services is constrained and prices rise. That’s how inflation happens. Paying your taxes can help prevent inflation because it can keep federal government from overspending, particularly during a period when the economy is growing quickly. As the economy expands, households and business get more income, which means they have to pay more taxes, which keeps the federal budget deficit at a reasonable level. What will be the overall impact of the 2017 Tax Cuts and Jobs Act? It’s expected that the new tax legislation for 2017 is going to stimulate the economy by encouraging more production and creating incentives for more workers to join the workforce. Lower taxes mean more money for households and businesses to spend and invest. But it also means the government receives less tax revenue – which will cause the national debt to increase. Nobody knows exactly how much either of those things will grow, but David has some insights to share about the legislation’s impact, on this episode. There are many arguments for why the new tax code passed in 2017 should benefit business. First off, corporate taxes were cut from 35% to 21%. That will make the U.S. more attractive for business to operate in. The next positive aspect for businesses is that the new legislation establishes what is called a territorial system where businesses will no longer be taxed on their overseas earnings. Previously, U.S. businesses were taxed on any earnings they made overseas if they brought those earnings back into the U.S., and businesses want to keep their tax bill as low as possible, so they kept that money overseas to the tune of $2.6 trillion dollars worth. Now they can bring that money back into the U.S. economy through a one-time repatriation tax of 15% for cash, and for other things like property, it’s 10%. David covers a handful of other benefits businesses should experience into the new tax code on this episode. [0:51] Residents of Denmark are able to prepare and file their taxes in 10 minutes – Wow! [1:40] Are you going to get a tax cut from the recent legislation that was passed? [8:44] Assessing the new tax laws after the fact: They were trying to simplify. But does it? [17:32] What impact is the new tax legislation going to have on the economy?